Bemarie is prepared to produce copra (dried coconut meat used for oil production) this season in Calube, Aloran. She wants to ensure that she will have ample time for the copra production and presented her loan proposal to Paglaum MPC. Bemarie plans to buy whole coconuts to make copra (dried coconut meat used for oil production). She hopes to see her children finish their degrees and have stable careers. 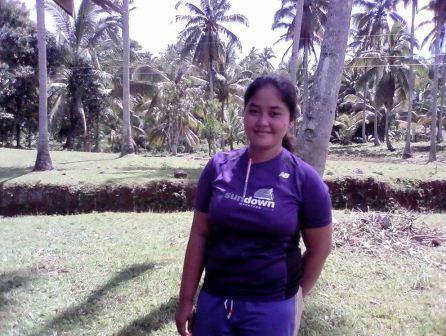 As Bemarie grows business with microloan, she will use the funds to buy whole coconuts. She will then dry the coconut meat, and use it for coconut oil production. The microloan will enable her to make more oil than she would otherwise be able to. This can help her grow her customer base, and make more sales. The field partner for this microloan is Paglaum Multi-Purpose Cooperative (PMPC). PMPC was founded in 1992 by the beneficiaries, parents and staff of the Paglaum Community Development Foundation to address economic and livelihood activities for sustainability. The organization operates in the northwestern provinces of Mindanao and Visayas. In the local vernacular, “paglaum” means “hope”. Dedicated to child development through a holistic approach, the goal is to build self-reliance and expand opportunity, so the poorest of the poor can help themselves. So that they can reach economic sustainability, this loan is part of PMPC‘s efforts to help farmers increase their productivity. Combined with training and connecting farmers to markets, this loan product will help farmers cover fertilizer and seed expenses as well as cost of labor. This loan acts as a credit line with one repayment happening at the end to Kiva. By supporting this loan you are providing flexible, risk-tolerant capital that enables farmers to make investments in their farms, generating future income and improving livelihoods. Dr. Johnson, with the help of PMPC, has successfully funded this microloan to Bemarie. Now, she can use the capital to help grow her coconut oil manufacturing business in the Philippines!